Global Life Sciences search specialist, Coulter Partners is pleased to announce eight new appointments in the US, Denmark and at their London headquarters, following an extremely successful year which has seen sales grow by 20%. All the new team will be globally engaged and based in the following locations: In the US, Noah Parekh joins as Client Partner in Cambridge, MA, while Lisa Pieper, MD, MBA is appointed Consulting Partner in Palo Alto and Adrienne Slutzky joins as Project Co-ordinator in New Jersey. In London, new team additions include Quentin Oerlemans as Senior Consultant, Dr Pat Mileham as Senior Production Associate, and Agata Grzeszczuk and Kerry Hillier as Production Associates. In Copenhagen, Charlotte Visholm joins as Production Associate. “We are delighted to attract the most exceptional talent to our team across the globe and welcome all new colleagues with their diverse expertise and specialist knowledge. A thriving Life Sciences industry has driven this further growth at Coulter Partners, and we will continue to respond to market need by consolidating our team in key industry hubs,” comments CEO, Bianca Coulter on these appointments. Noah joins as lead on C-suite, board and senior level global executive search assignments across the scientific and commercial spectrum in the Pharmaceutical and Biotechnology sectors. 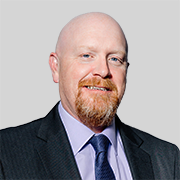 He draws on over 16 years’ experience in Life Science search, most recently as Partner with Chase Search Group, the retained search firm he founded in 2006 in Cambridge, MA. 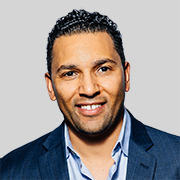 With a total of 20 years in executive search, Noah brings extensive expertise at senior director, VP, and CMO-suite within operations, clinical research, regulatory affairs, medical affairs and biometrics. He is educated from the University of Massachusetts, where he studied for a BSc in Business Management and Administration. Lisa will lead on organizational and leadership advisory services, with an emphasis on strategy and corporate development. She has spent almost two decades building teams and organizations in Life Sciences, which included a decade as a consultant in the Life Sciences practices of global executive search firms. Lisa founded a Life Sciences consulting firm, Pieper & Associates, LLC, with services that included executive-level and board recruitment. She previously practiced medicine for a decade in a large multi-specialty group practice, serving in a variety of leadership roles. A Fellow at Stanford University’s Distinguished Careers Institute, Lisa has also served for over a decade on the President’s Council of the Gladstone Institutes, a non-profit biomedical research foundation based in San Francisco. Lisa’s educational background includes an M.D. from the University of California, San Francisco, where she subsequently completed residency training, leading to board certification in her field, as well as an M.B.A. from the University of California, Los Angeles. Quentin focuses on board and C-suite global executive search for pharmaceutical, digital health, biotechnology and medical device companies, advising at all stages of growth, from venture-backed and development to established and publicly-held corporations. 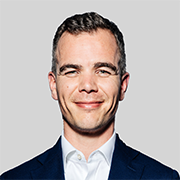 He draws on more than 12 years’ executive search experience with leading global search firms including Egon Zehnder and most recently with a start-up specializing in VC backed and PE businesses. Quentin’s substantial track record in global executive search, both for Life Sciences and the Technology sector, includes a prior 3-year tenure with Coulter Partners and encompasses leadership assessment, family business and CEO succession advisory, across geographies that include APAC and LATAM. A French national with fluent English, Quentin holds a Masters in Human Resources from the University of Paris XIII. Pat will be responsible for research and execution of senior level global executive search assignments with a broad Life Science focus and an emphasis on scientific and technical roles in the pharma and biotech sectors. He draws on 6 years’ extensive search experience as Team / Practice Leader, and then Operations Director for an international specialist Life Science search firm. Pat previously worked for 2 years as a researcher for a collaboration between Big Pharma, the Biochemistry department at St. Mary’s Hospital Medical School and the Pathology department of the Royal London Hospital. He holds a BSc in Applied Biology from the University of East London and a PhD in Genetics from Imperial College, University of London. Agata will engage in senior level global executive search with a broad Life Science focus across scientific, technical and commercial roles. She draws on over 11 years of executive search experience predominantly in Life Sciences but also in FMCG, gained with leading international recruitment consultancies. 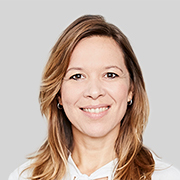 Agata brings broad experience not only in executive search, but also in inhouse Talent Acquisition, global transformation projects and coaching. With native Polish and fluent English, Agata holds an MA in Occupational Psychology from Adam Mickiewicz University, Poznan, Poland. Kerry will execute senior level international executive search assignments with a broad Life Science focus, encompassing both scientific and commercial roles. She draws on 3 years’ experience in multiple sector recruitment gained with global executive search firms working across EMEA, APAC and the Americas. 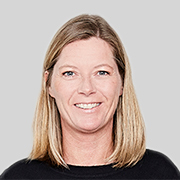 Kerry brings prior experience in project management and research, working for Imperial College, London in Infectious diseases and Immunology and previously for an international engineering company. Kerry holds a BSc in Biomedicine from Birkbeck College, University of London and an MSc in Prenatal Genetics and Fetal Medicine from University College London. Charlotte will work on senior level international executive search assignments with a broad focus across both scientific and commercial roles. 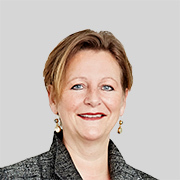 She draws on 19 years’ experience in multiple sector recruitment gained with global executive search firms including Odgers Berndtson and brings an extensive track record of international private and public sector, board and C-suite executive search. 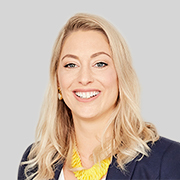 With native Danish, fluent English and proficiency in Scandinavian languages, Charlotte holds a Master of Laws (LLM) from the University of Copenhagen. Adrienne will be responsible for project management and execution of global search assignments, and business development support to the team across the USA. She brings strong relationship management and organizational skills gained over 4 years as Senior Operations Associate for a cross-industry, retained executive search firm with a Life Science emphasis. 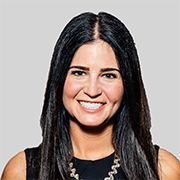 Adrienne draws on additional administrative experience within a data-intensive marketing and advertising technology company and holds a B.A. in Communication Studies from the Bloomsburg University of Pennsylvania.